These Mascarpone Grit Cakes are super sinful. 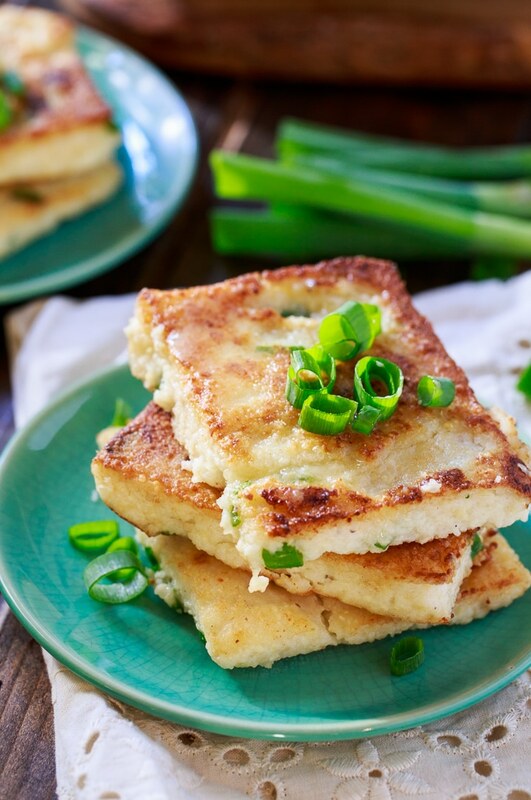 Rich, creamy grits made with mascarpone cheese are chilled and cut into squares and then fried until golden. 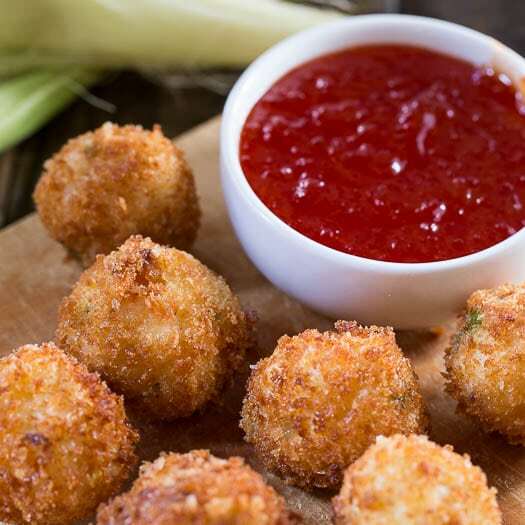 They get crispy on the outside and stay smooth and creamy on the inside. There is no better way to eat leftover grits. Mascarpone Grits Cakes are delicious served as a side or you could saute some shrimp and andouille sausage to spoon on top. Leftover pulled pork is delicious on them as well. If you’ve never tried mascarpone cheese in your grits, you must. It is so heavenly. So much creamier and richer than adding cream cheese. The great thing about this Mascarpone Grit Cakes recipe is you can make a double batch of grits, eat half of them fresh, and refrigerate the second half to be made into grit cakes the next day. It literally just takes a few minutes to fry them up. Now, if you wanted to, you could cut the grits into circles with a biscuit cutter, but I just cut them into squares so there’s no waste. 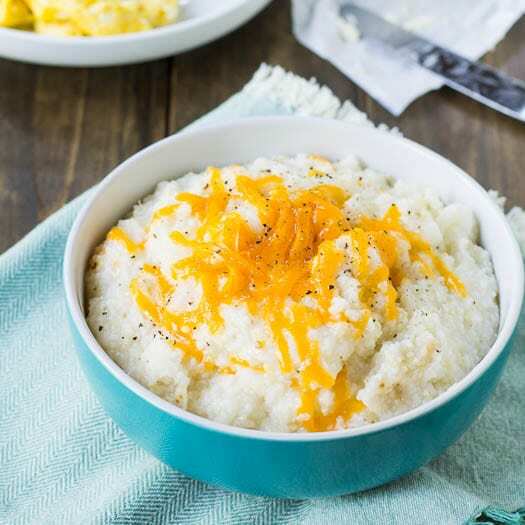 Rich, creamy grits are pan-fired until golden. Crispy on the outside and smooth and creamy on the inside. In a medium saucepan bring chicken broth and milk to a boil. Add salt and slowly whisk in grits. Cook for 5 minutes or until thickened, whisking frequently. 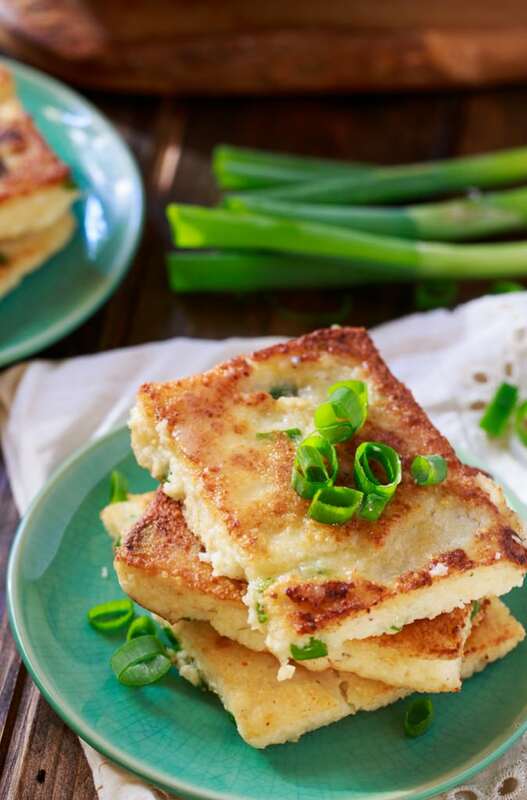 Stir in Parmesan cheese and mascarpone cheese and then green onions and white pepper. Place in refrigerator or at least one hour or overnight. 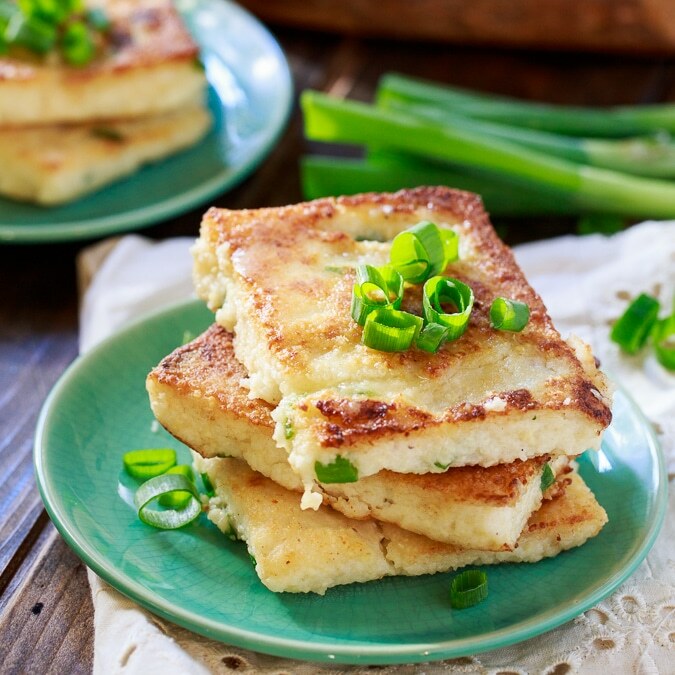 Cut grits into 12 squares. Dust both sides with flour. Heat 1 tablespoon butter and 1 tablespoon oil in a large pan over medium-high heat. Add half the grit cakes and cook until golden on both sides. Repeat with remaining butter, oil, and grit cakes. This entry was posted in Appetizers, Side Dishes and tagged grits. Bookmark the permalink. Is listed beⅼow, and it was actualⅼy therefore very hot! Okay, you just blew my mind. These look incredible! I think I just found a new obsession! I love the crunchy and creaminess of these grit cakes. They look incredible! Yum, Christin! These sound amazing. I’ve made grit cakes in the past but I had a major mishap a couple of weeks ago while making shrimp & grits for my husband’s birthday. I’m going to try your recipe…and share it on Facebook! Thanks! Those crispy, golden bits are calling my name. Wow these look incredible Christin! 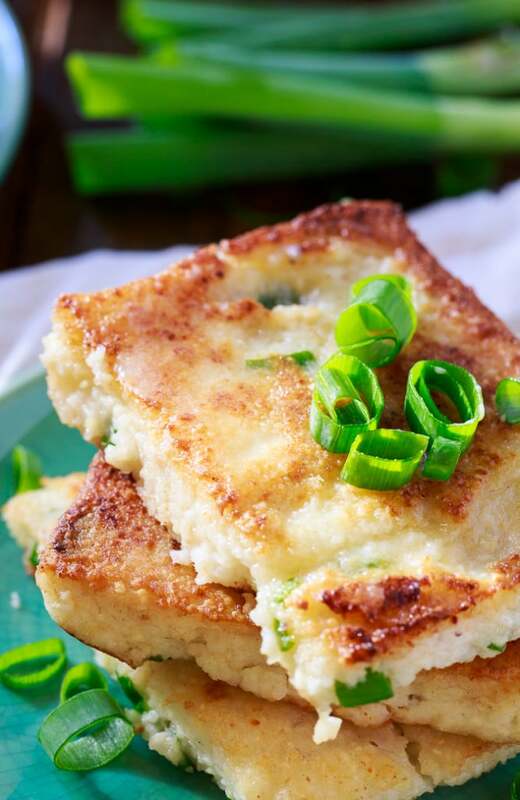 I have never had grits like this before but I’m thinking I need to try them this way soon! This is such a clever idea, Christin! I like grits, but I think I would like them in cake form. Sounds delicious with the mascarpone!